Did everyone have a great Memorial Day weekend? Did everyone fall asleep on the neighbor’s lawn and come to work today with a face like a very angry cartoon character? Maybe that was just us. We hope you took our advice and stuck to some easy-drinking cocktails to get you through three days of nonstop BBQs and beach outings. But if you went a little overboard with your imbibing over the weekend, we recommend trying some of these nonalcoholic options tonight to balance out your weekly consumption. Cucumbers and two full cups of mint leaves make this the ultimate green juice. A liquid version of raspberry sorbet. Ginger and lemongrass are the it couple of detox ingredients. That is one gorgeous glass. 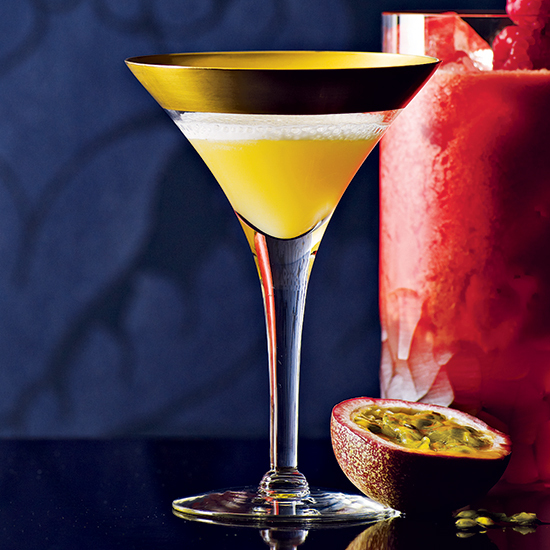 All the vitamin C in this glass will banish your hangover until the Fourth of July. If you’ve never muddled chiles before, you have to try it. If you’re drinking out of a martini glass, no one will suspect you’re abstaining tonight.